When you say 'Matia Bazar', most people immediately scream 'Ti sento', but it is less well known that the band actually participated in the Eurovision Song Contest in 1979. Formed in 1975 by Piero Cassano, Aldo Stellita, Carlo Marrale, Giancarlo Golzi and Antonella Ruggiero, they have released over 20 albums between then and now. 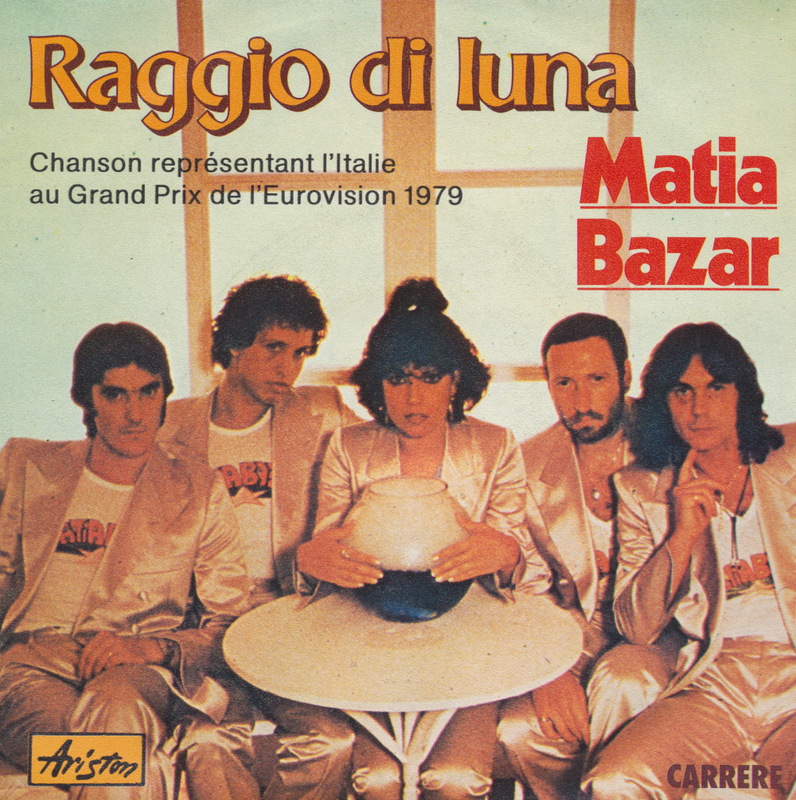 'Raggio di luna', the song they performed in 1979 at the Contest, representing Italy, was the very first Eurovision entry that didn't have an orchestral accompaniment, two decades before the orchestra was disposed of altogether. The song received 27 points and became 15th in a field of 19 competitors. 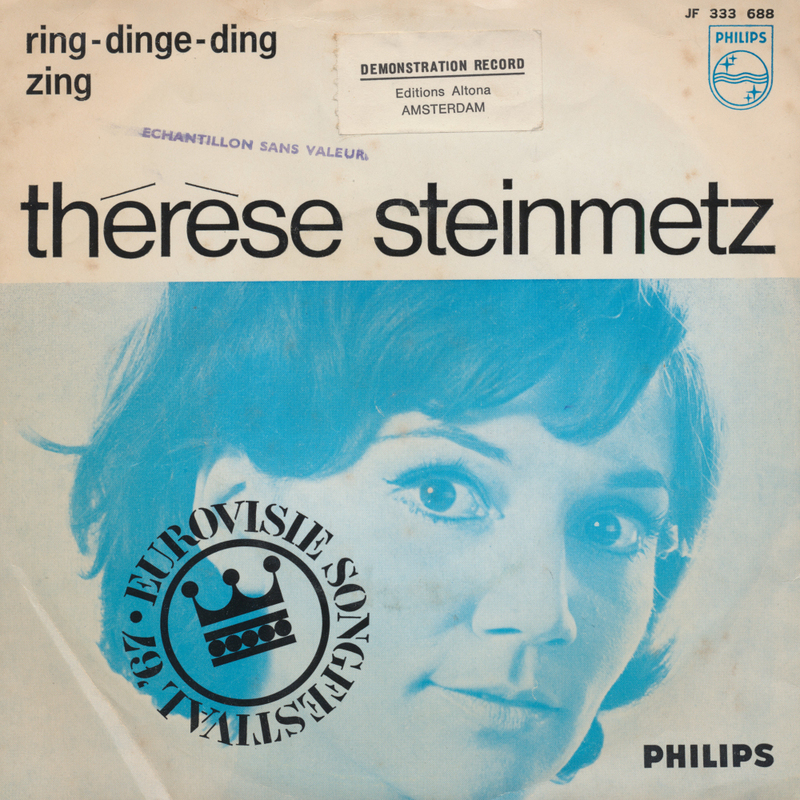 In 1967, Thérèse Steinmetz represented the Netherlands during the Eurovision Song Contest with the song 'Ring dinge ding' written by Johnny Holshuyzen and Gerrit den Braber. Performed first on the night, it ended up at place 14 in a field of 17 competitors, with just 2 points. 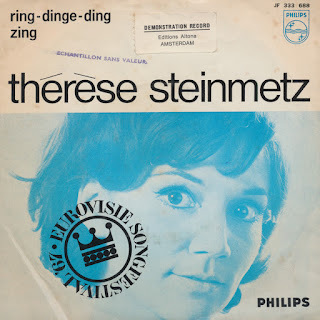 Steinmetz was born on May 17, 1933 in Amsterdam. She played various theatre, television and film roles and in 1966 she was given her own TV series, Thérèse. After participating in the Eurovision Song Contest she won the Golden Stag Festival in Romania, making her very popular in that country. These days she lives in Cannes (France), where she has become a successful painter. My copy of this single turns out to be rather damaged, but it is a promotional copy which makes it a bit more special.